Thousands of ETFO and other union members, concerned citizens, and students converged on Queen’s Park on August 28 for the Rally for Education. Eighty-nine busloads of ETFO members arrived, some of whom travelled for seven hours to attend the rally. 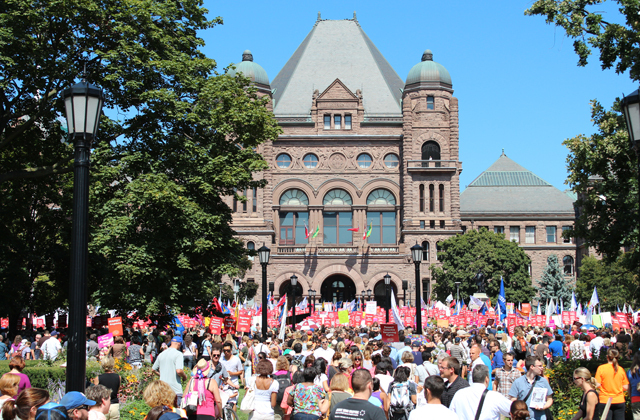 People crowded the lawns of the legislature and overflowed onto surrounding sidewalks, demonstrating incredible support for teachers, collective bargaining rights, and democracy in Ontario. Over 300 teachers, educational assistants, designated early childhood educators, custodians and office administrators rallied in Thunder Bay on August 28 to stand together against the punitive Bill 115 introduced by the McGuinty government. The rally – dubbed the “Mini-Queen’s Park Rally” – included participants from ETFO, OSSTF, COPE, CUPE, CAW and OPSEU. We ARE the Front Lines was formed by Kathreen Hansen (Peel Teacher local) and Susan Goode (associate member), two teachers who wanted to unite educators and encourage everyone to have a voice. In a press release issued by the Canadian Teachers Federation, President Paul Taillefer stated that “the 200,000 teachers of Canada raise their voices in support of their Ontario colleagues.” Presidents of the teacher organizations from Newfoundland, Nunavut, New Brunswick, Prince Edward Island, Quebec, and Manitoba were at Queen’s Park to stand in solidarity with Ontario teachers and education professionals, and to tell this government that imposing legislation is an affront to the rights of every teacher in Canada. 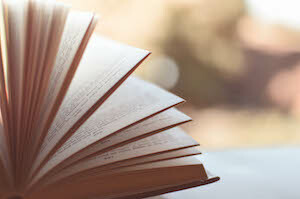 Bill 115 is the legislation that was passed by the Liberal government to legislate ETFO collective agreements and those of other education unions.